Johnny Castellano is MINE has been reviewed by City News, the Canberra Critics Circle, Australian Arts Review, The Age, and Stage Whispers. 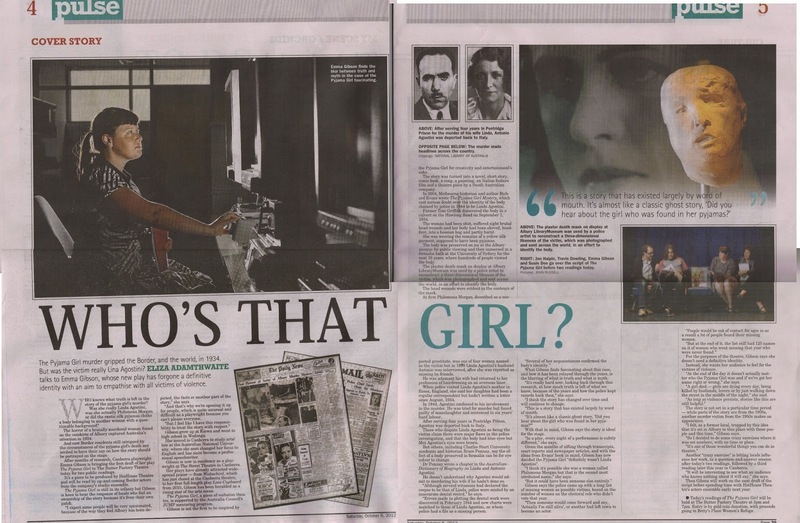 Here’s the Border Mail’s review of The Pyjama Girl. Dead Beauty Queens reviewed by Chris Brain in BMA Magazine. 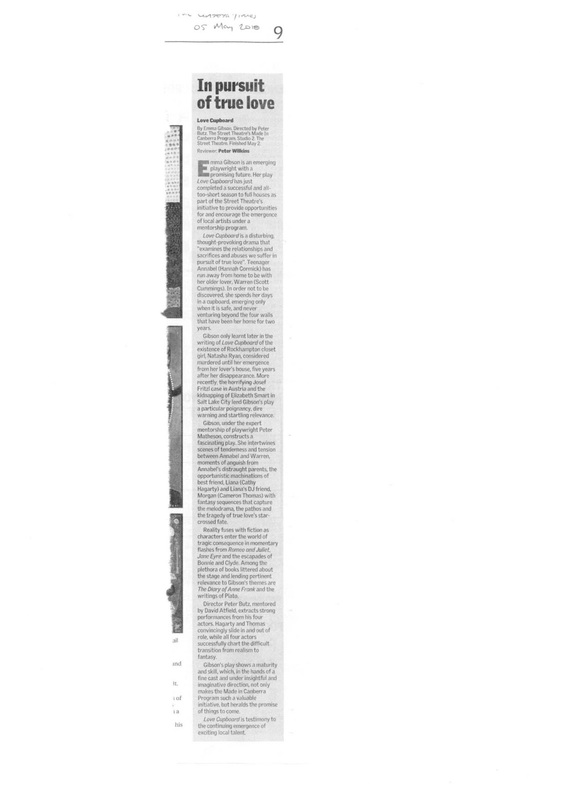 Widowbird reviewed in the Canberra Times. Widowbird reviewed on Arts Hub. Feature article on Johnny Castellano is Mine in The Age. Feature on Johnny Castellano is Mine in BMA Magazine. BMA Magazine article on Widowbird. Profile in City News (Canberra) here. Border Mail on the Pyjama Girl Play here. 4BC Brisbane have posted a radio interview with me online. BMA Magazine article on Love Cupboard. Prime News covered the Pyjama Girl here. I was also interviewed earlier in the development process here.